Once plentiful in the Desperado Province Stega is no longer a common sight. Towering above most monsters and humans, Stega uses its long legs to dash and kick, slamming their stony feet into foes in order to cause huge damage. They are also excellent at trampling, able to turn a foolishly brave Hyna into dust in the blink of an eye. Just before the climax of the war, the strongest of those human soldiers loyal to the Philosopher Kings feared Stega's utility as a mount by members of the uprising. They scattered across the desert, decimating the population down so that they could not be used against them. Because of this, only a handful are said to exist and are rarely sighted. The location of Stega's territory is kept secret by tamers, who fear for the future of this monster's population. 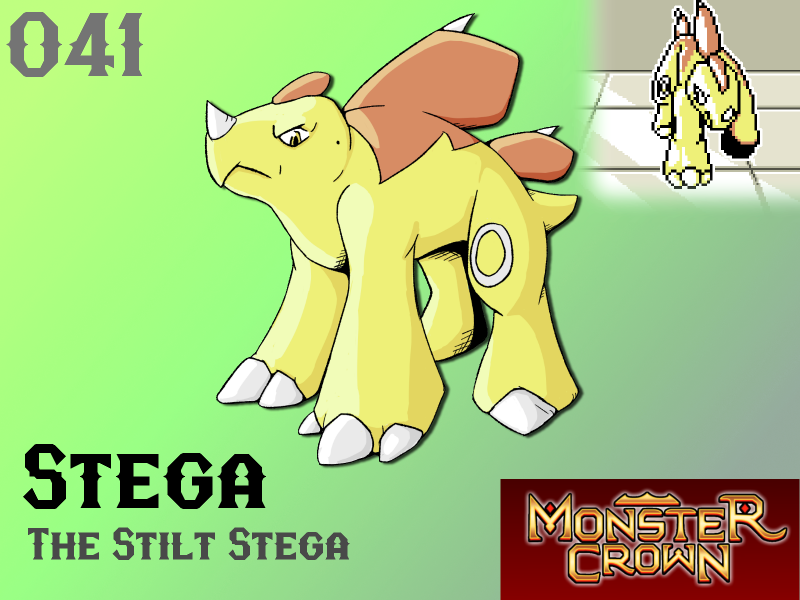 Will Stega make your team? This dude looks like a keeper.